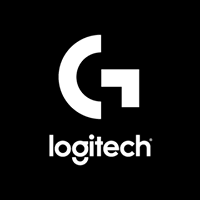 Experience the ultimate gaming experience with Logitech's new G533 Wireless DTS 7.1 Surround Gaming Headset! 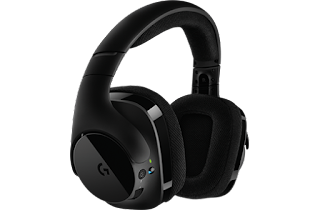 Logitech's new G533 Wireless DTS 7.1 Surround Gaming Headset is phenomenal! One of the most impressive qualities is the sound that this headset produces. The sound is crystal clear and doesn't cut in and out. I've used a lot of headsets and can honestly say this is one of the best sounding ones on the market. 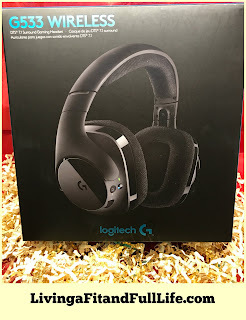 I also love the range and battery life of Logitech's new G533 Wireless Gaming Headset. With up to 15 hours of battery life you're sure to have an awesome gaming adventure! Another terrific thing about this headset is how comfortable it feels. It seems to be pretty light and fits just right. The controls are also easy to use and seem to be right where you'd expect them to be. With Valentine's Day coming up I know Logitech's new G533 Wireless DTS 7.1 Surround Gaming Headset would make an absolutely perfect gift for all the gamers out their!